Menarock Life Essendon is a fully accredited, 55-bed aged, residential high care facility, equally divided into two nursing units. Accommodation is provided in single, two-bed and three-bed rooms, some with ensuite bathrooms. Ideally located close to public transport and shopping centres, Menarock Life Essendon also offers ample on-site parking for visitors. 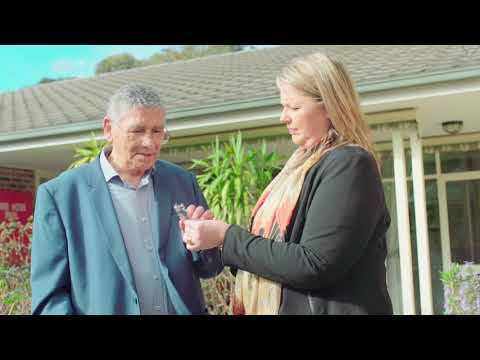 Our philosophy of care is dedicated to excellence in the field of residential aged care. Emphasis is placed on the rights of the individual, whether frail, aged or disabled. Participation in decision-making enables residents to live with dignity and to pursue their own concept of full and happy lives. Our carefully selected staff ensure that a high standard of personal care, concern and dignity is maintained and are available 24-hours a day. An integral part of our care is to develop individual care plans which operate using a holistic team approach. The care plans are regularly reviewed to meet the needs of each resident, assisting in the care of the resident’s mental, spiritual and physical well being, and therefore giving our carers a sense of achievement and satisfaction. We aim to provide the best quality of life possible for each of our residents through a dedicated, caring approach that reflects each individual’s needs, privacy, dignity & choice. Residents are encouraged, as far as possible, to maintain their independence and interests. Choice of medical practitioner or specialist is encouraged. Medication, nutrition, dietary and personal care needs are carefully supervised. Serviced from a modern commercial kitchen, the meals provided are of utmost freshness and quality, and can cater for any special dietary needs. Residents may relax in the spacious comfort of the multi-purpose lounge room, watch communal television or listen to requested musical or other programs of interest. In addition there are two smaller lounge rooms. The large multi-purpose lounge room also caters for a variety of activities including games, craft, cooking, music and other interests. This room also doubles as a meeting room for groups both within the facility and the wider community, or for family gatherings. Regular ecumenical church services are conducted by local clergy. Hydronic heating throughout the building and air conditioning in communal areas, and individually controlled ceiling fans in all bedrooms and communal areas, ensures a comfortable temperature is maintained in all seasons. Additional features include visiting Hairdresser, Pharmacist, Podiatrist, Physiotherapist, Optician, Massage Therapist and other specialist services. Arrangements can be made for visiting or being visited by your various clubs, church or community groups. A full range of fun filled activities include regular “happy hour” times, outings, concerts, in-house competitions etc. Birthdays and special days, religious or otherwise, will be acknowledged and celebrated. Delivery of newspapers, magazines, and dry cleaning are offered. For further information or to book a tour of the facility, please contact us on the details above.